Save money on your favorite products and services with these exclusive discounts for FBLA members. Not a member? Start a chapter to take advantage of these and more benefits! Stand Out. Bring Your Story to Life for College Admissions! Stand out with iFOLIO digital portfolios! Innovate with a digital portfolio platform and build your best impression with tools and tips from college admissions and scholarship experts, using photos, videos, and media within one digital page. Tallo is an online platform connecting the next generation of talent (age 13+) with colleges and companies across the country. FBLA members can join FREE and create a digital profile showcasing their skills, talents, and accomplishments. 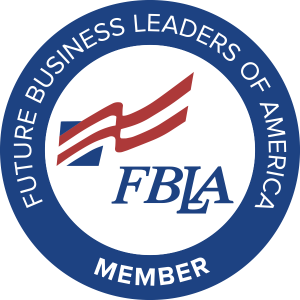 From there, they can share their profile, link up with mentors, and request the FBLA Digital Badge to be recognized as an official FBLA Member on Tallo. Tallo users also gain access to free resources, tools like our automatic resume generator, and get matched up with over $20 billion in scholarship opportunities. Special Offer on Test Preparation. FBLA members and their families receive 10% off The Princeton Review courses and tutoring for the SAT, ACT, PSAT, AP & SAT Subject Tests. To receive your Princeton Review test-prep discount, enroll using the promotional code FBLAPBLSAVE10 at checkout. Not sure where to start? Try a FREE practice test. If you have any questions, please email us.